Many residents of Vancouver feel that they’re doing a great service to society by proving students with part-time employment opportunities. Student Works Disposal, as the name suggests, is formed by two students who employ their peers. These students are not only hardworking and efficient, but also work at very competitive rates. 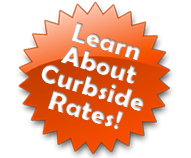 This means that Student Works Disposal provides you with the most affordable quotes for your trash removal, Vancouver. Student Works caters to both, homeowners and commercial businesses. As a result, we can conduct trash removal of a variety of junk items, ranging from furniture hauling, carpet and insulation removal to commercial waste, such as wood, old electronics, old tires, construction waste and others. Student Works Disposal collects all the junk that your city waste management may not accept, such as refrigerators, old computer equipment, mattresses, TV sets and other appliances. Did you know that common household products, like Styrofoam and plastics, are some of the biggest contributors to pollution, resource wastage and overflowing landfill sites? Student Works Disposal is a staunch believer in recycling and reusing, thus making sure that any reusable part of your junk is reused so that the environment can be saved. Student Works Disposal also gives your appliances, furniture and other items that may be useless to you to charities. Student Works Disposal also serves as professional movers who can haul, load and clean while you are moving to a new location. They take care of all of your valuables and handle fragile items meticulously. Student Works Disposal operates throughout the lower mainland in the Vancouver BC area. To find out how we can help you remove your junk, call us today at 778-288-8009! Whether you are moving your office to a new place or your family has decided to get a new home, Student Works Disposal is only a phone call away. Get your no-obligation quote and get started on your moving project today!